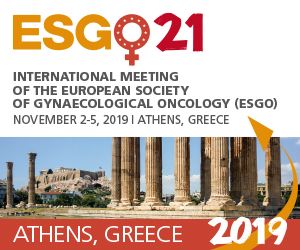 The Guidelines Committee lead by Prof Denis Querleu and experts in the field started its work within the framework of ESGO in 2013 with the aim to develop high quality and practical recommendations to improve the quality of care in gynaecological cancers. The Guidelines projects are funded by ESMO, ESGO and the French National Institute of Cancer. 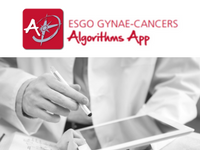 In collaboration with ESMO and ESTRO, ESGO elaborated guidelines for the management of major tumor sites in gynaecological oncology. A consensus conference on endometrial cancer was organized on 11–13 December 2014 in Milan, and the outcomes were presented in the journal of the three societies. ESMO/ESGO/ESTRO Guidelines for management of Endometrial Cancer. Guidelines on ovarian and cervical cancer will be elaborated within the next few years. Chaired by Prof. Denis Querleu (France), this project is aimed at developing clinically relevant and evidence-based criteria for the quality assessment of ovarian cancer surgery throughout Europe. The ultimate goal is to improve the quality of surgery for advanced ovarian cancer and to build a network of European institutions, which meet the standards of proper ovarian cancer surgery and can then be awarded an ESGO recognition for ovarian cancer surgery. In addition, ESGO took the opportunity to develop quality criteria for the management of early-stage ovarian cancer, and to produce guidelines on the selection of patients for and timing of surgery. 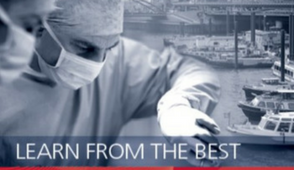 The outcomes were presented at ESGO19 in Nice, and will be published in international journals. Quality indicators for advanced ovarian cancer surgery were developed using a four-step evaluation process inspired by published development processes and earlier initiatives, identified from a systematic literature search carried out in MEDLINE and selected websites. This process development included the nomination of an international Development Group (23 experts), identification of potential quality indicators in the literature, literature search for scientific evidence, evaluation of the potential quality indicators, synthesis of scientific evidence, external evaluation of the retained quality indicators (by 84 independent physicians and 8 ovarian cancer patients). The ESGO Council nominated an International Development Group made of practicing clinicians who provide care to vulvar cancer patients and have demonstrated leadership and interest in the management of vulvar patients (18 experts across Europe). The process includes also an external evaluation of the guidelines (forthcoming step). The ESGO Council established a large panel of practicing clinicians and patients independent from the Development Group to evaluate the guidelines (quantitative and qualitative evaluations). Responses will be pooled and discussed by the Development Group. 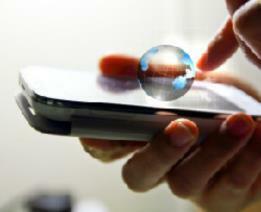 The outcomes will be published in international journals. This project will be in line with the second work package, and will pursue the same objective and follow the same methodology. In line with work packages 2 and 4, this project takes into account the fact that quality of surgery is not the main issue in the quality of the management of endometrial cancer. In collaboration with an on-going project in Belgium on the selection of criteria, and based on results of the European consensus conference, a method to assess the adherence to guidelines will be developed.